This 12V Accessory Outlet Electric Pump inflates or deflates any float toy, lounge, mattress, or game quickly and easily, anywhere! Enjoy the convenience of an electric air pump from your vehicle or boat. This high volume, portable, and lightweight air pump plugs into any 12V accessory outlet. Includes a 10 ft. power cord and 2 adapters. This rugged step is easy-to-assemble and fits any above-ground pool from 48-inches to 54-inches in depth. Double handrails and big slip-resistant steps make pool entry and exit easy for swimmers of all ages. The Easy Pool Step is designed to meet or exceed all NSPI standards for safety and swimmer entrapment. The replacement filter pad is specifically designed to fit the Swim Time Dredger Jr. with auto on/off, Pumps Away, and Genius iQ 350 pumps. The open, 3-dimensional structure allows free flow of water while blocking small and large particles. Measures 4.5 in. x 3.75 in. x 0.5 in. thick. 12V Accessory Outlet Electric Pump for Inflatables This 12V Accessory Outlet Electric Pump inflates or deflates any float toy, lounge, mattress, or game quickly and easily, anywhere! Enjoy the convenience of an electric air pump from your vehicle or boat. This high volume, portable, and lightweight air pump plugs into any 12V accessory outlet. Includes a 10 ft. power cord and 2 adapters. 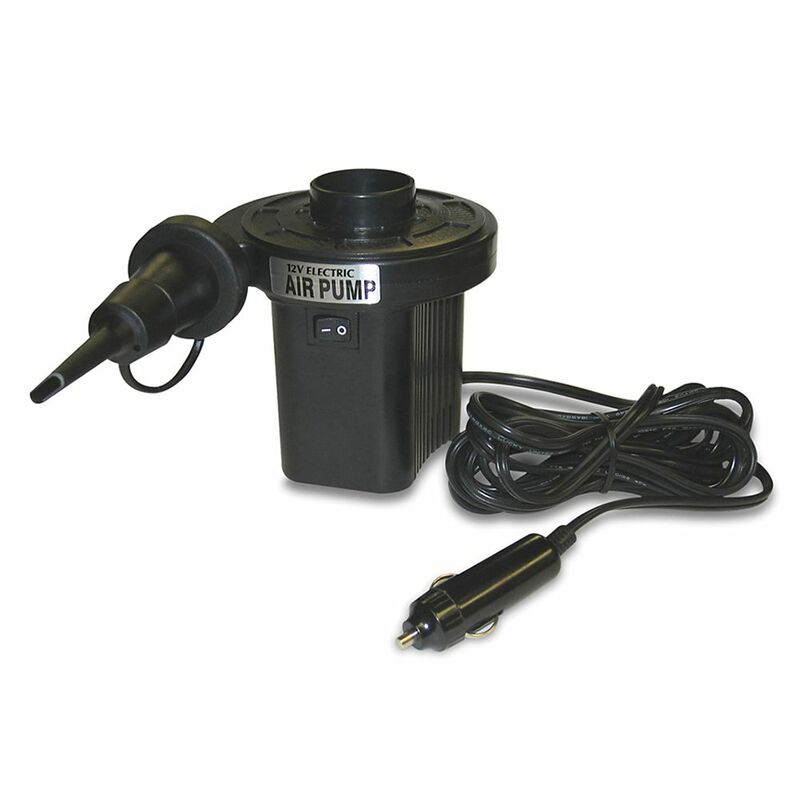 12V Accessory Outlet Electric Pump for Inflatables is rated 4.8 out of 5 by 5. Rated 5 out of 5 by Raimundo from The electric air pump was I needed I used to... The electric air pump was I needed I used to inflate pool,tires,toys.charged to to my car cigarette lighter easily i recommend it and was deliver on schedule. Rated 5 out of 5 by HomeDepotCustomer from Yep, just used it this past weekend and it performed... Yep, just used it this past weekend and it performed as expected.